Give a rich and perfect look to your decor by placing this unique and beautiful hand-knotted silk area rug. It is silk on silk carpet which is a highly durable an.d hand-washable rug. This carpet is ideal for a living area. 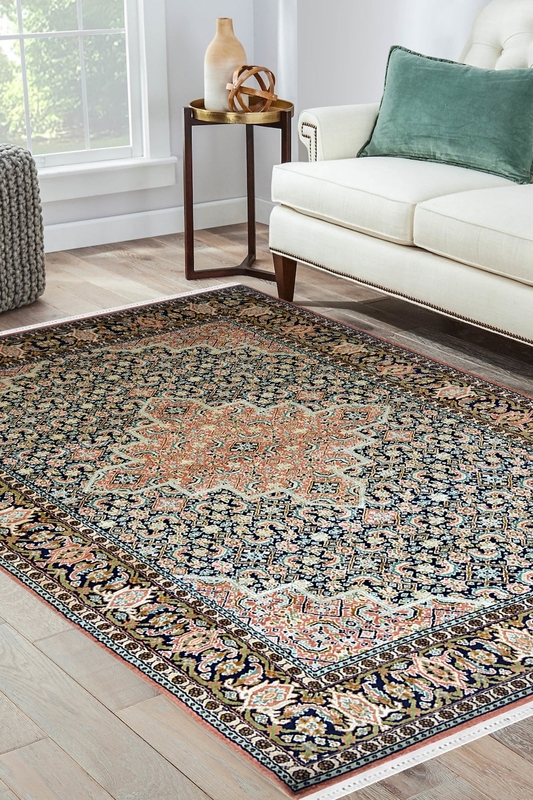 A vivid palette of blue, pink and orange hues emerge in classic fashion, highlighting intricate motifs on this one-of-a-kind silk on silk rug from Rugs and Beyond collection. Intricately hand-knotted in India by individual artisans, a distinctive weaving technique creates a hi-low effect, the motifs appearing to rise from the foundation of silk.